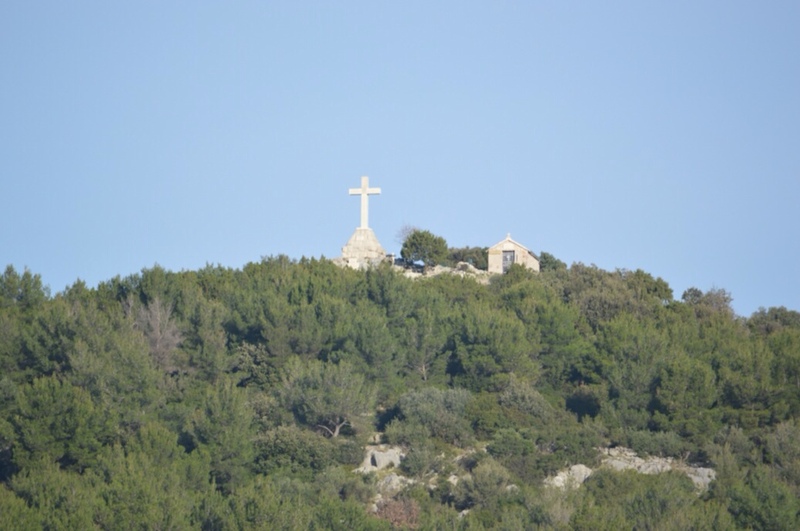 There’s a large stone cross on Glavica, the hill overlooking Stari Grad on the north shore. It makes a very useful marker, as it can be seen from miles around. 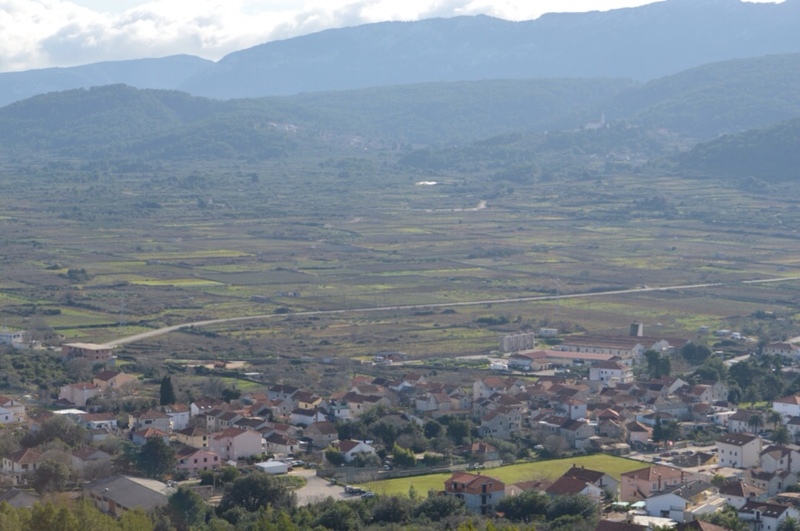 Conversely, of course, from the top of Glavica, you have great views over the surrounding countryside, and the approach into Stari Grad harbour. The cross is a recent addition, as are the little chapel and benches. 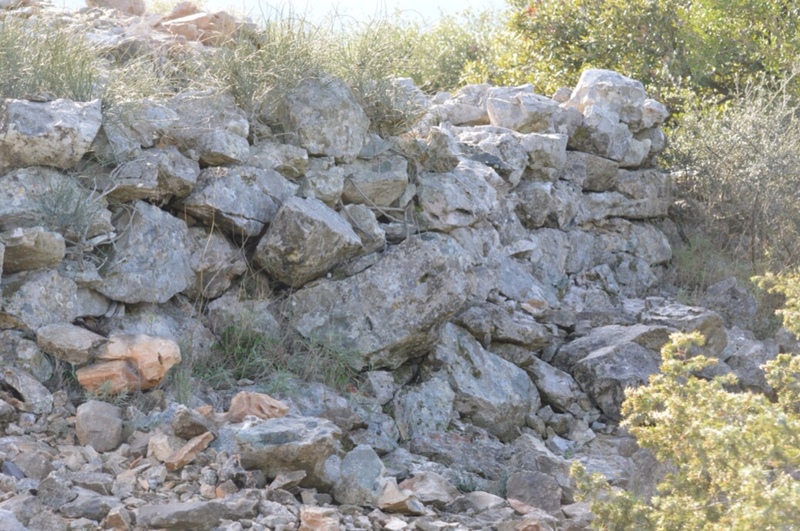 They sit on a much more ancient stone construction, for this is another in the series of hilltop watchtowers dating back before the arrival of the Greek settlers. All that remains now of the early fortifications is a circular stone base, whose low wall shows signs of ancient construction. It was possibly a partner to another watchtower at Purkin Kuk to the south, which would make sense strategically. Not sure there’s been any definite determination of age, though. 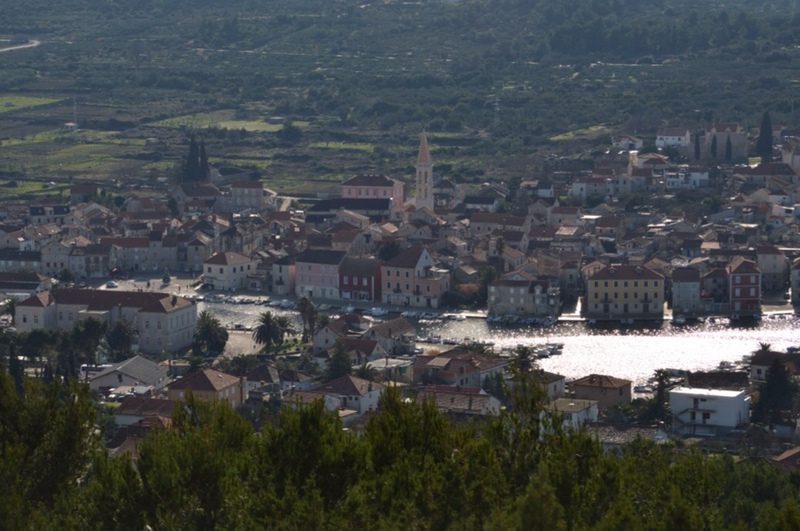 The head of that beautiful 5 mile long inlet where Stari Grad now stands was first settled by an Illyrian community. They were pushed back into the hills and mountain valleys by the ancient Greeks who did a more effective defensive job of holding the land they occupied. Meanwhile, the Greeks took control of the best agricultural area in the Adriatic, the Stari Grad Plain. I’m sure the Glavica hill was also extremely useful to their defenses, in addition to strong city walls and further watchtowers at Maslinovik and Tor. 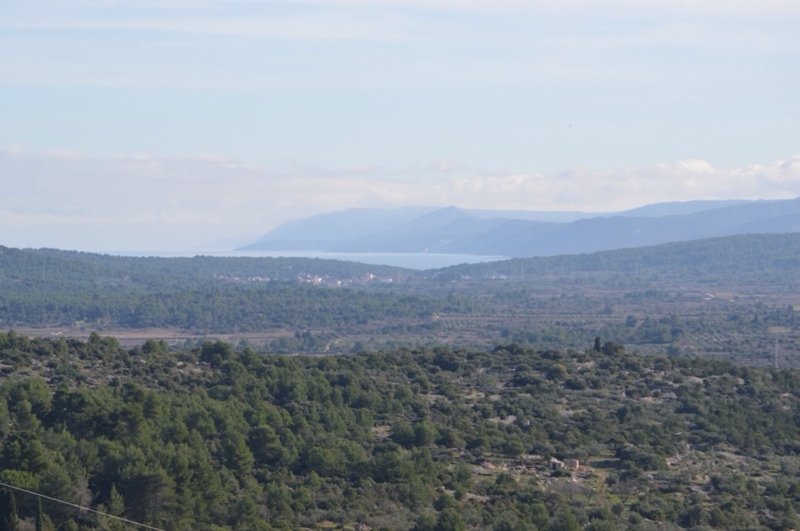 Eastwards, you can see all the way over to Vrboska, and beyond it to the far end of the island. And of course, westwards you have a view over the entry to the harbour. 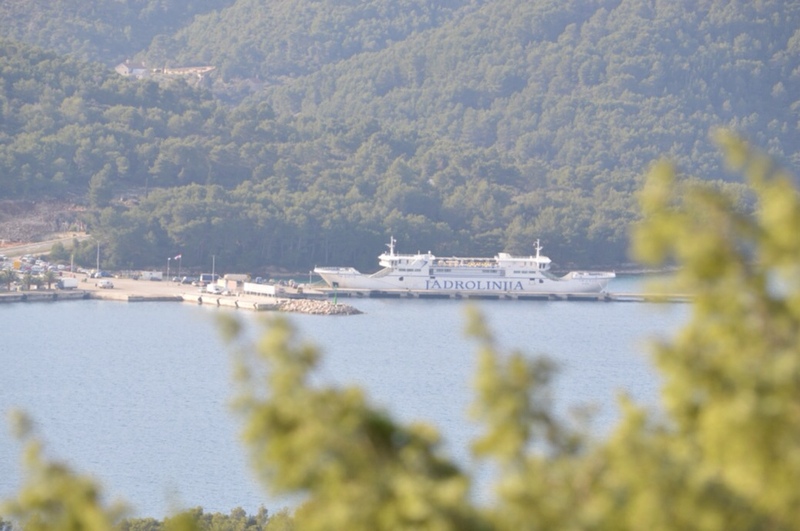 Tin Ujević was in dock at the ferry terminal, just about to leave as we watched. It’s a nice walk up the hill through pine forest on a on a well-marked stone path. The hill is only 111m high, that’s about 364 feet, so not too strenuous. 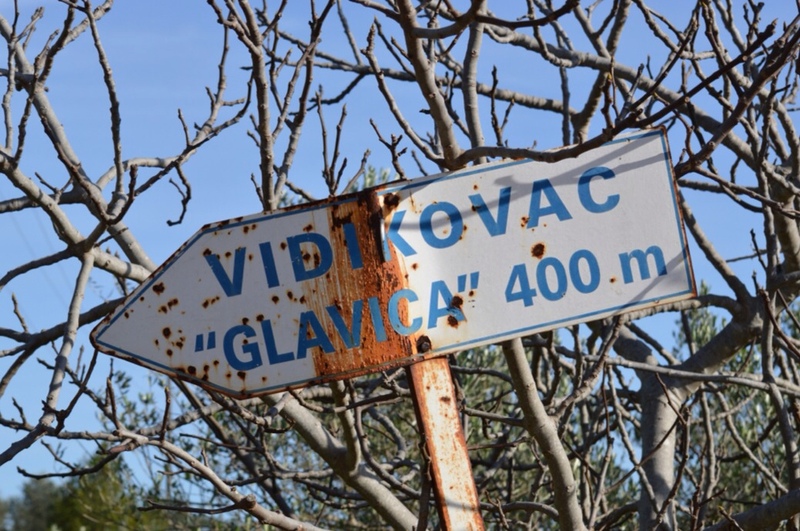 Follow signs for Vidikovac Glavica to enjoy the views for yourself! ← A splash of colour will brighten your day!